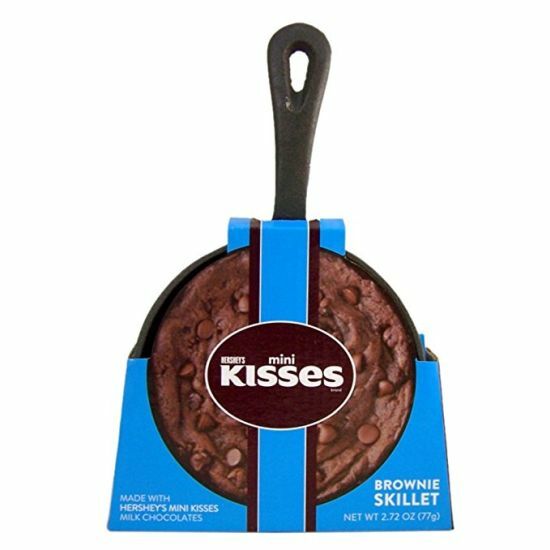 Hershey's Brownie Cast Iron Skillet with Mini Kisses Brownie Mix - Order 6 or more for 6.99 each! SHIPS FREE! Hershey's Brownie Skillet with Brownie Mix - Kit includes Cast Iron Skillet and Brownie Mix - Brownie Mix - 2.5 oz - Preparation Instructions Included - Great Christmas Stocking Stuffer Gifts!